Shah Tahmasb I, who ruled Safavid Iran from 1524 all the way to 1576, was born (probably; the farther you go back the more variability there is in converting dates from one calendar to another) on February 22, 1514, which would have made him a cool 501 years old yesterday if he’d stuck around this long. Tahmasb is one of my favorite figures in Islamic history, because his modern prominence is so wildly out of proportion with his actual accomplishments. See, Shah Tahmasb is constantly overshadowed by his predecessor and his successors, but I think this is BS; Tahmasb is one of the most consequential rulers in early modern (which usually starts around 1500) Iranian history and a key figure in the coalescence of the modern nation of Iran. Hell, he ruled for 52 years, and he was only under the sway of regents for the first 9 of those, which gives him a healthy 43 year reign under his own power. That actually doesn’t put him in the upper echelons of historical monarchs in terms of longevity, but it’s nothing to sneeze at either. He must have been doing something right. For one thing, most modern scholarship doesn’t even get the guy’s name right. You will usually find it rendered as “Tahmasp,” which reflects the Turkish pronunciation of his name (Turkish softens final consonants, so a “b” sound becomes a “p” sound). 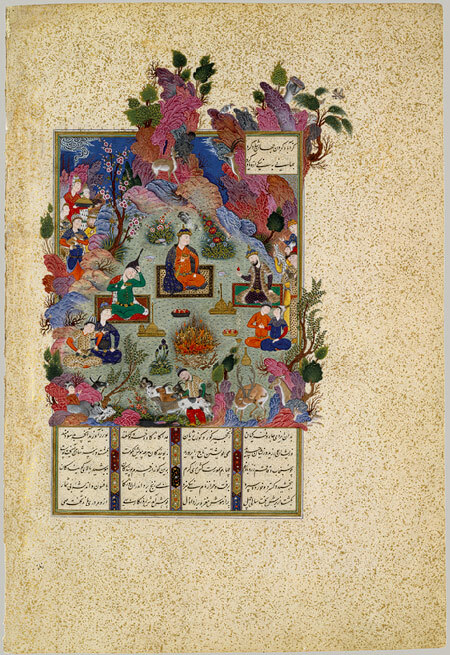 But seeing as how his name is Persian in origin, and in Persian it ends with the letter “baa” and not the letter “paa,” his real name is “Tahmasb,” end of story. Shah Tahmasb succeeded his father, Shah Ismail I, the founder of the Safavid Dynasty, in 1524, but at the age of not-quite-ten he was obviously not ready to rule in his own right. Unfortunately for him, Ismail had spent the last 10 years of his reign moping about his complete failure to so much as mildly inconvenience the Ottoman army at Chaldiran, which meant that most of the day to day running of the empire had devolved from the Shah onto his tribal Turkic army (the Qizilbash) and (to a lesser extent, since they didn’t have the weapons) his still relatively undeveloped Persian bureaucracy. Also, Chaldiran had completely punctured Ismail’s image as a divinely-ordained (maybe even divine, period) ruler who was about to usher in a new age in history. It’s hard to make that case stick when you get your behind handed to you as comprehensively as Ismail had his handed to him by the Ottomans. So when Ismail died and left a child as his heir, it was inevitable that the heads of the leading Qizilbash tribes would start forming factions in an effort to control the new Shah and, therefore, the empire. What was effectively an inter-Qizilbash civil war followed, in which the main players were the Rumlu, Takkalu, and Shamlu tribes. 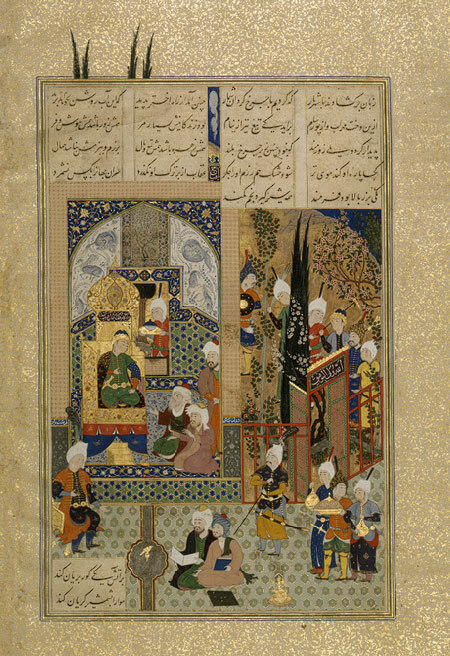 Initially control of the empire rested with Div Sultan Rumlu, but his rival, Chuha Sultan Takkalu, ingratiated himself to the young Tahmasb and had Div Sultan bumped off so that he could run the show. As Tahmasb got older, however, he began to assert his own authority, and given the natural tribal rivalry within the Qizilbash, he had plenty of support when he decided to shed his tribal regents. 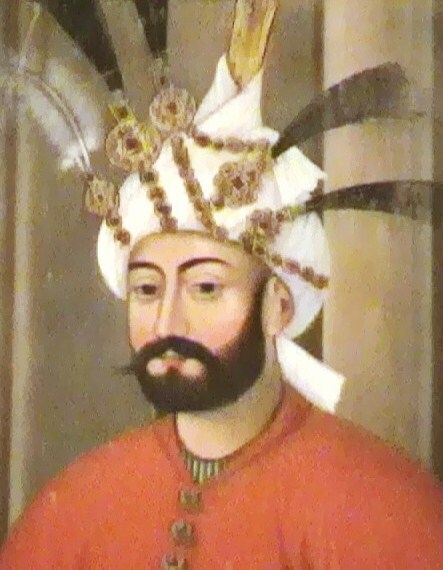 Chuha Sultan was executed in 1528 amidst a general decimation of the Takkalu tribe, ostensibly for cowardice in battle but mostly at the conniving of Husayn Khan Shamlu, whose tribe then ascended to the top of the heap politically. That lasted only a couple of years before Tahmasb, finally an adult of 19, had Husayn Khan put to death on charges of treason in 1533 and began to rule in his own right. Tahmasb’s ability to finally rise above tribal squabbling and reassert central dynastic authority, coupled with the stabilizing effects of a long reign, is his greatest contribution to the development of modern Iran. The Safavid Empire could easily have shattered after Ismail’s death, or been picked apart by its hostile neighbors (the Ottomans to the west and Uzbeks to the east), which would have had enormous impacts on history (for example, if the Safavid Dynasty collapses in the 1520s, Iran would most likely be majority Sunni today). But he had other accomplishments during his reign. For one thing, he thwarted four major Ottoman invasions of Safavid territory by simply refusing to engage the superior Ottomans in battle and relying on the fact that the Ottomans couldn’t sustain a long campaign and would eventually have to retreat back to Anatolia. He then signed the Treaty of Amasya with the Ottoman Sultan Sulayman I (“Sulayman the Magnificient,” if you like) in 1555, which ceded most of modern Iraq to the Ottomans but allowed the Safavids to keep their much more valuable (and equally vulnerable) territory in the Caucasus. Amasya bought the Safavids 2 decades of peace with the Ottomans and began to firm up the line of demarcation between Arab Iraq and Persian Iran. Tahmasb also impacted South Asian history. He provided considerable material aid to the Mughal Emperor Humayun after he was deposed by Sher Shah Suri in 1544. Much as Ismail had helped Babur, the founder of the Mughal Empire, to gain his empire in the first place, Tahmasb’s support helped Humayun regain his empire in 1555 (which was quietly a very important year in Islamic history). Obviously Indian and Pakistani history would look a lot different if the Mughal Empire hadn’t survived past 1544, and without the strong Persian cultural and political influences that accompanied Humayun’s return to power. Tahmasb gets overlooked because he didn’t usher in dramatic change like his flamboyant father and because he didn’t fundamentally reform the Safavid Empire the way his grandson Abbas I (the most important Safavid ruler) did during his 1588-1629 reign. But a lot of Abbas’s reforms were prefaced by Tahmasb. Abbas’s biggest changes involved moving the capital to the more defensible city of Isfahan and taking concrete steps to reduce the power of the Qizilbash and thereby insulate the Empire from the destabilizing impacts of tribal rivalries. He achieved this in large part by creating a new military force made up of ghulam soldiers, or slave soldiers imported from the Christian kingdoms in the Caucasus (intentionally similar to the Ottoman Janissaries, who were conscripted into military service from among the Ottomans’ Christian/European subjects), who were loyal to the Shah rather than to a particular tribe (and who had no problem using firearms, which the Qizilbash resisted). 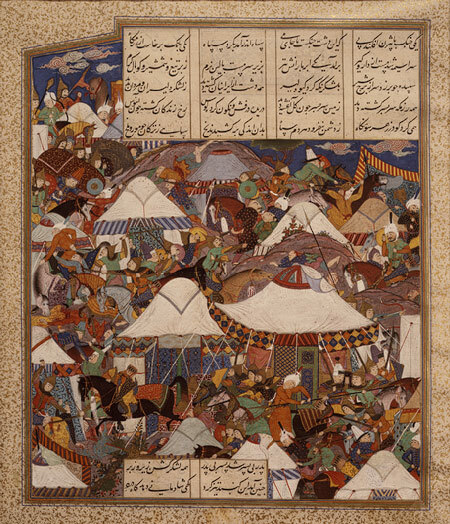 However, Tahmasb had already moved the capital from Tabriz (whose vulnerability to Ottoman invasion made it unsustainable as a capital city) to Qazvin, and he actually began the practice of importing slave soldiers from the Caucasus, though Abbas was the one who expanded the practice to provide a counterweight to the Qizilbash. Ironically, while the ghulam force did reduce instability in the short term, in the long run it added another faction at court and thus created more instability, but that’s a story for another time. So Happy Birthday to Shah Tahmasb I, a guy who doesn’t get the respect he deserves for being an important historical figure.